winning $2.4 million, or even more, when playing, it’s of little surprise that more and more people are deciding to try their own luck. Many players start by playing for fun, but then move on to real money online casinos, once they feel they have honed their skills enough, to play for hard cash against other people. Many online operators offer both real money and play for fun options, to their users. This means that you can start gambling for real, in precisely the same game that you have been using to develop your skills. This offers you the best chance of performing well during your first few games. 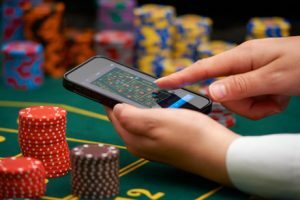 These types of options also make it far easier to add new games into your casino repertoire; your first few attempts at any game can be entirely risk-free. Once you’re fully confident that your skills and knowledge are in the right place, you can start playing with real money. For the casinos, the benefits of offering this type of system are apparent. It’s particularly helpful when they decide to introduce a new game, that is not commonly played among their existing user base. Alongside matched bets, and other incentives, that encourage people to move on to the real money version of the game, they can let people play for free for a little while, to get a feel for the latest game, and decide if it is for them.